The H276HD detects the presence of voltage in AC lines through direct contact. 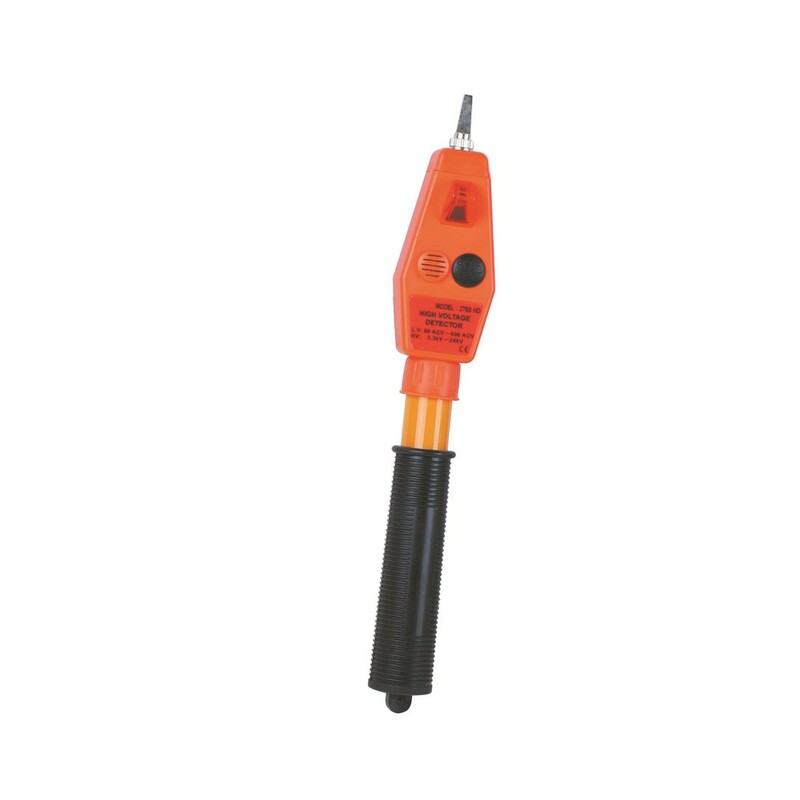 The fiberglass insulated rod extends approximately three feet for checking voltage at a safe distance. Indication is provided by a red high intensity light emitting diode and loud electronic buzzer. Range: Low (80 to 600VAC), High (3kV to 24kVAC). Power: Two (1.5V) LR44 Button Cells. Included Accessories: Vinyl Carrying Case, Batteries, and Manual.